Griff Topping and his unofficially adoptive son, Wally, are in a small town to attend a wedding. Wally is unexpectedly roughed up and arrested for a crime he didn’t commit, but the small-town deputy likes Wally as the criminal and refuses to budge in regards to any real proof, but relies circumstantial evidence to hold Wally in jail. Dawn, Griff’s girlfriend, is going on a mission trip to Sudan, which Griff isn’t thrilled about as tensions in that area are high. Wally is saving money to pay the bride price to bring his bride, Liberty, to America from Sudan. Dawn visits Liberty and gives her news of Wally. 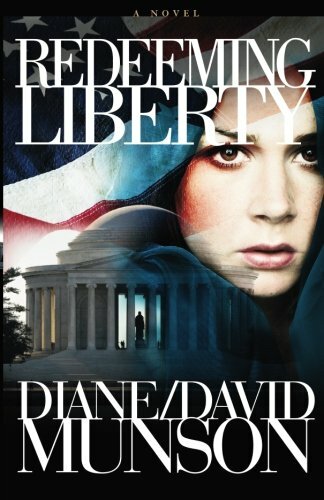 As Dawn is flying away in a bush plane, she sees men arrive in Liberty’s village and kidnap her. So, begins the search to find and free Liberty for Griff and Dawn. Bo Rider is undercover at a scientific convention in London to secretly recruit potential spies for the U.S. He finds an unattended briefcase and discovers some interesting information. The wife of the owner of the briefcase makes trouble for Bo and he barely escapes legal trouble. Bo is also busy undercover as an Army serviceman, dealing with a Russian military man who is supplying Bo with secret information about Russia’s dealings with Iran. Can Bo trust his informant’s word? While undercover, he meets and begins to work with a Mossad agent. After an attack of severe flu, Bo returns to the U.S. only to discover he didn’t have the flu, but some type of new strain that in most cases is deadly. Bo must stop the scientist who has created this deadly flu strain before it is released, killing millions. The title of this story has many different applications, but I want readers to enjoy that discovery for themselves. Just know that it is worth the time spent reading this suspenseful story. The authors really know their subject so I always learn something when I read their books, which I value. The faith of Wally and Liberty especially stood out to me. During horrific experiences in their young lives, they looked to God and didn’t waver in their faith in Him. They were truly inspirational. It is always a treat to visit with familiar characters too such as Bo, Griff and Eva. I very much like the tangent in the story of Griff’s life-changing discovery. I look forward to this trio’s next adventure as their stories are always entertaining.